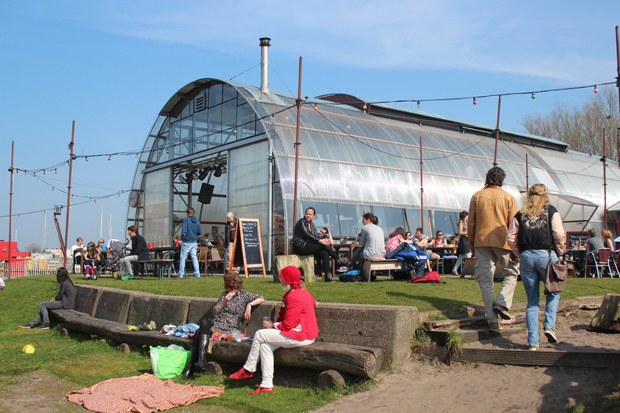 The gay, funky, hipster neighborhood of Noord in Amsterdam. Our intrepid Berlin Correspondent, Adam Groffman, just returned from four days in Amsterdam. Always the hipster, Adam explored the little-known neighborhood of Noord, reminiscent of London’s East End, if a bit grittier, and full of artists warehouses, parks, beaches, industrial chic bars serving organic food. Read about Adam’s Dutch adventure over at his blog, Travels of Adam. For our full insider’s guide to Amsterdam, check out our Dec. 2012 issue here.